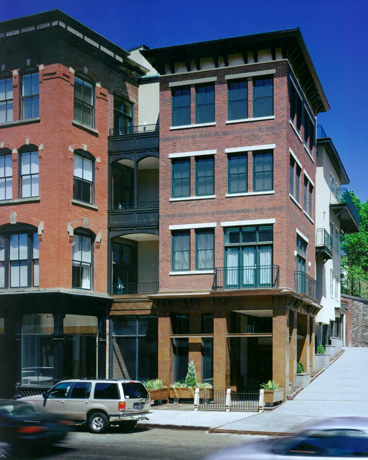 A developer acquired the former Pilgrim Mills Building for conversion to upscale condominiums. 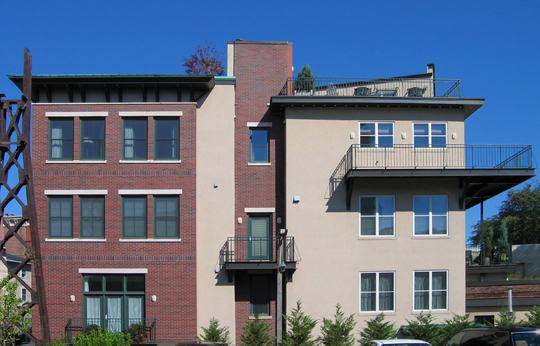 While restoring the original building, KITE thoughtfully crafted a new four-story addition on the south side of the structure. 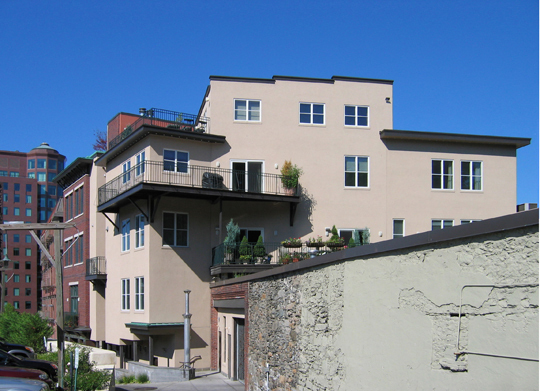 Utilizing a variety of forms and materials, the complex of buildings now reads as an assemblage of smaller scale structures, reflective of the original neighborhood and mid-block alley. 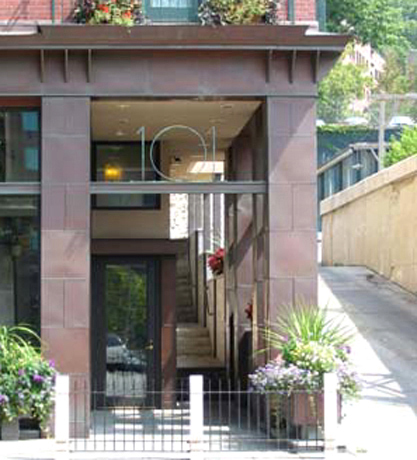 A common entry to the condominiums contains as elevator to all floors and provides access to the parking garage. The original four-story building maintains its identity as the entrance to a new restaurant. Each of the condominium units is unique in size and layout, ranging from one bedroom to two-floor penthouse units all with a private deck or balcony. The new units maintain the large windows and high ceilings of the original building, providing generous, light-filled living spaces. 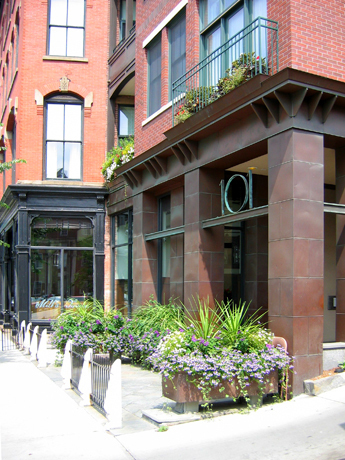 The project serves as a skillful example of revitalizing a building and a streetscape.